There is an interesting op-ed in the Irish Times today, from Stephen Flood of Goldcore. This is on foot of a research note which they have produced (introduced by yrs trly) on the state of play on Bail Ins (where depositors become part of the solution to bank recapitalization, a la Cyprus) across europe. The risk of such bail-in in Ireland is low. But then so too are interest rates. It might be useful for people, in saving, to consider not just yield but also liquidity risk. Irish banks are well capitalised – but then we have heard that before. This entry was posted in Blogpost and tagged Bail Ins, bail-in, banks, cyprus, interest rates, ireland on December 3, 2013 by brianmlucey. Megan Greene is the chief economist at Maverick Intelligence, which advises governments and companies on political, policy and macroeconomic developments. She was previously was director of European economic research at Roubini Global Economics. Greene began covering Greece, Ireland, Italy and Germany at the Economist Intelligence Unit in 2007. She is a graduate of Princeton University and of Nuffield College, Oxford University, and worked at JP Morgan Chase & Co. and as an advisor to the Liechtenstein royal family. Greene divides her time between Europe and the U.S. She writes a blog at http://www.economistmeg.com. This entry was posted in Blogpost and tagged cyprus, economy on April 11, 2013 by brianmlucey. 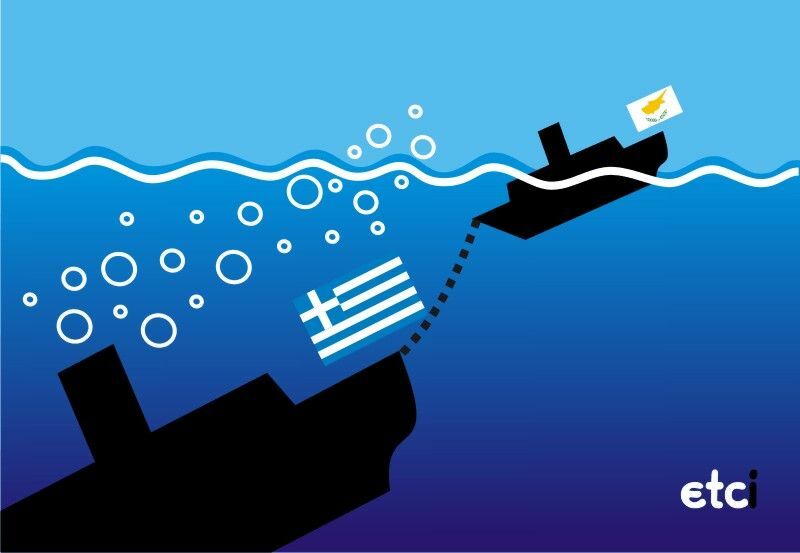 How big is the Cyprus bailout? A slightly tricky questions originally posted at the link above. (b) The remaining 10B is described as a bailout of the government. Of this 10B however, 7.5B is being used to refinance maturing debt. This debt, I would guess, is mostly at this point beneficially held by ECB. This is just an assumption, but we know that 75% of it was held domestically, largely by the banks. This was probably the first collateral pledged by the banks via the ELA, so ultimately if the Central Bank and the government default it will ultimately fall on the ECB’s balance sheet. The 25% is probably traded internationally and, again outside of Cyprus hands. 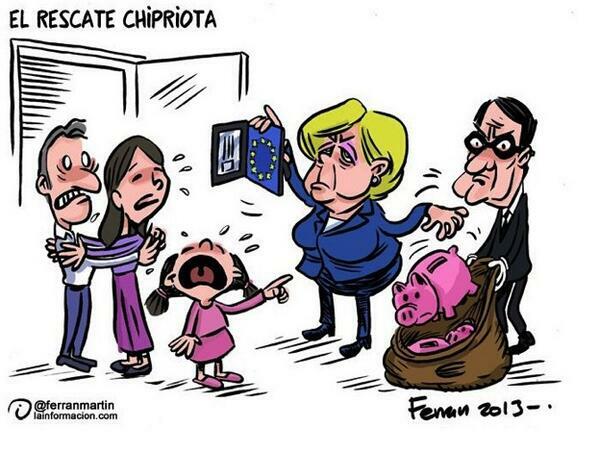 So, the 7.5B is being lent to Cyprus in order to be paid right back to Europe. That is not charity, that is ‘hiding their embarrassing losses until later when someone else is in office’. If moral hazard requires clueless Cypriot retail depositors to pay for their banks’ decision to lend to the insolvent Greek government, then presumably it also applies to the financial wizards at ECB that lent to the insolvent Laiki, despite having full access to their financial information. That leaves 2.5B of fresh financing for the government which I will concede is new money, though until we see the Memorandum and the terms under which we receive this money, I am not too excited about it. Cyprus could raise this amount domestically so long as it did not have to do it overnight (which it does not – it is to fund deficits over the next few years). (c) Does that mean that 2.5B is the right answer? Not really, see below. (d) At least 5.5B of the ELA taken by the banks (I suspect it is more) was for losses in the Greek branches of the Cyprus banks. These branches have 15B of deposits that presumably could have also been haircut, along with the Cyprus-based deposits, to make up for the losses. 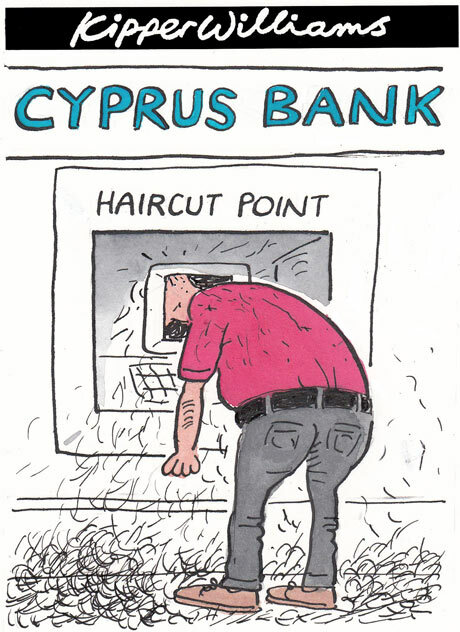 Yet, under tremendous time pressure, they were sold to a Greek bank for 17% of NAV, even post NPL haircuts (very suspicious), while the liabilities (the ELA) stayed in Cyprus and are now, beyond all logic, is being transferred to the Bank of Cyprus. We can call this: “Cyprus Contribution To Recapitalization of Greece, Part II”. And since Greece is insolvent and illiquid without EU assistance, it is really assistance to the EU. (e) The Greek PSI (write off of Greek government debt, implemented by the EU) impacted Cyprus, as Greece’s neighbor, in a wildly disproportionate manner. Cyprus banks took 4.5B in losses there. 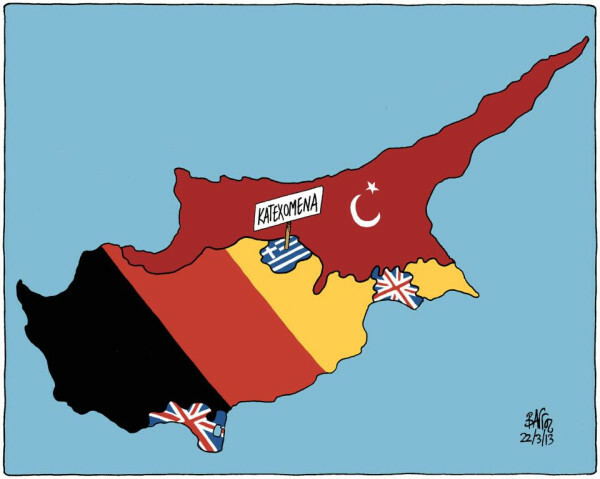 One could have imagined a solution at the time that partially compensated Cyprus for these losses. In any case, it was a contribution by Cyprus in reducing Greek public debt and given Greece is backstopped by the EU, it reduces the EU debt load, so that is how we get to -7.5B. Cyprus has certainly contributed to Greece’s bailout on a per-capita basis at a level vastly exceeding any of the nations that are putatively suffering from “bailout fatigue”. 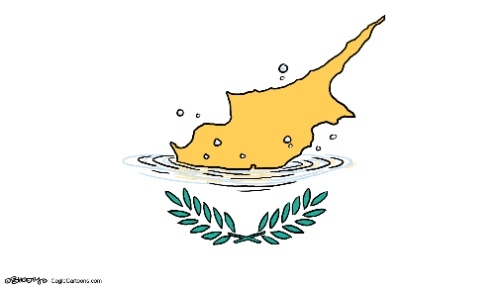 Cyprus, voluntarily or not, has contributed around 5% of the Greek public and private debt reduction, despite being 0.2% of the European economy, so a rate of 25x the European average, plus or minus. 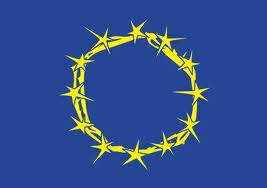 The apparent “thank you” from the EU, is to try to talk down the main basis of the Cyprus economy (financial services) and aim to destroy the rest of the otherwise fairly healthy Cyprus economy by sucking all liquidity out of the system, literally overnight. Data on these are hard to get. The best and its not very good, is the Amadeus Database by Bureau Van Djik. Looking throught this this AM, I extracted the “cash and cash equivalent” balance sheet item for 2011 (the latest year for which there are accounts) for a set of Cypriot companies. These were non-financial non-state corporations, independent (as in not subsidiaries) and SME’s as per the european classification. 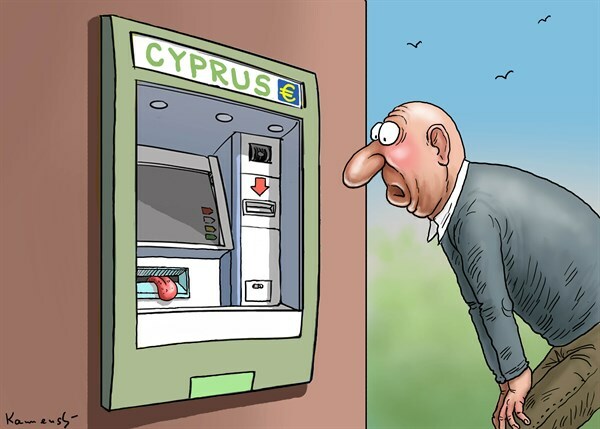 Remember that all deposits up to 100k are safe; remember also that even the most financiallly unaware Cypriot SME must have been thinking about the safety of their cash since 2011. A lot of Cypriot SME’s if the distribution is similar now as it was then (which is imho still probable – who would think that the bank deposits would be in play, right?) will be badly hurt. Remember : “its all hot russian money”…. This entry was posted in Uncategorized and tagged cash holding, cyprus, ECB, SME on March 28, 2013 by brianmlucey. To some a song for Europe will always be Ted and Dougal…. but for the modern generation the superb Gavin Kostik has, following from his 10 Commandments, a new one. There’s a hole in the system, dear Draghi: a hole. Then fill it dear Olli, dear Olli: fix it. With what shall I fill it, dear Draghi: with what? With taxes dear Olli, dear Olli: try tax! But the tax take is falling, dear Draghi: it falls! Increase them dear Olli, dear Olli: whack’em on! But the tax falls more now, dear Draghi: it fell! 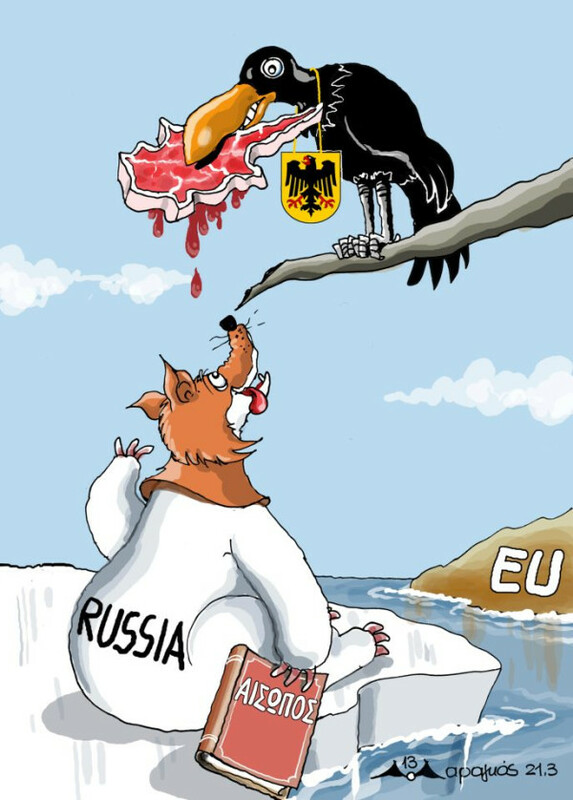 Squeeze the sovereigns dear Olli, dear Olli: squeeze them! 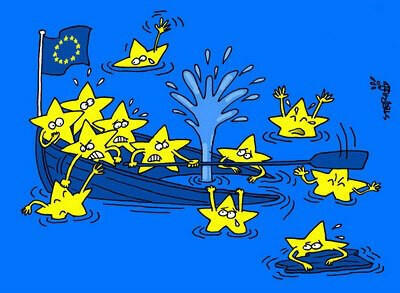 But the sovereigns are bursting, they’re bursting: some burst! Try the savers dear Olli, dear Olli: try them! The hole just got bigger, got bigger: it grew! If you must it’s the bondies, it’s the bondies: burn them! Now the whole system is dear, dear Draghi: it creaks! Inflate the system it dear Draghi, dear Draghi: inflate! But I don’t have a mandate dear Christine: don’t ask! Well then print it dear Draghi, dear Draghi: please print. We don’t have a printer, dear Christine: there’s no ink! Well who make money, dear Draghi, dear Draghi? 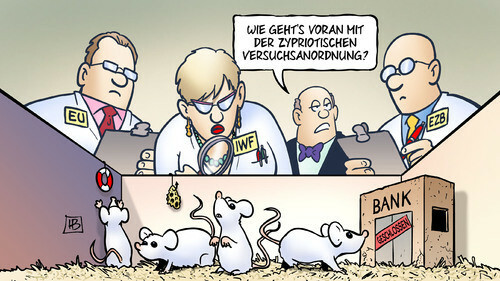 Well who can make money, dear Draghi: who can?! 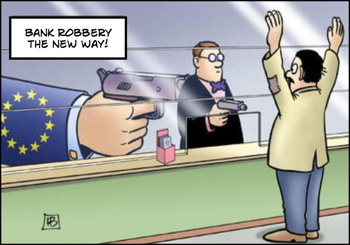 Well the banks are that system, the banks: that’s who! 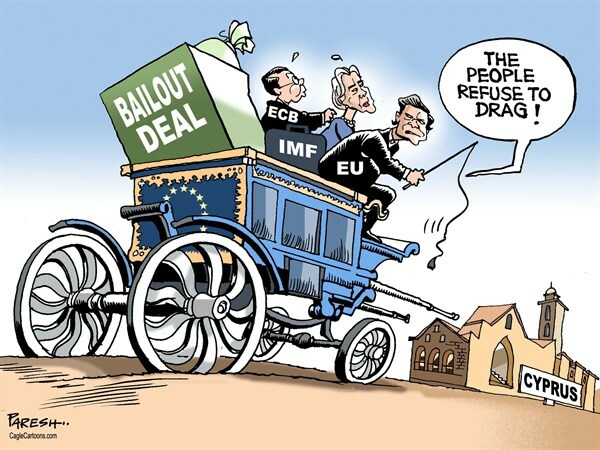 There’s a hole in the system, dear Draghi – a hole! 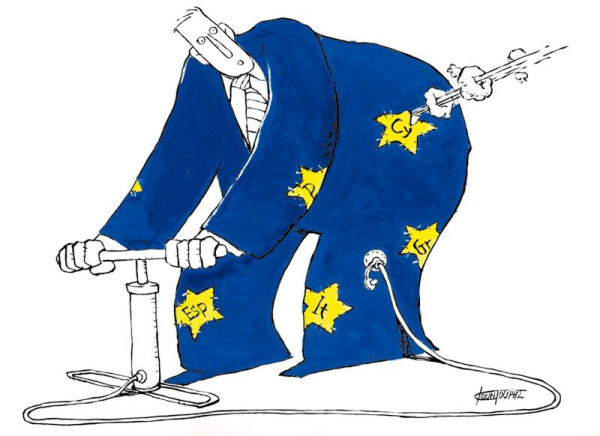 This entry was posted in Blogpost and tagged cyprus, eurovision, father ted, politics on March 27, 2013 by brianmlucey. 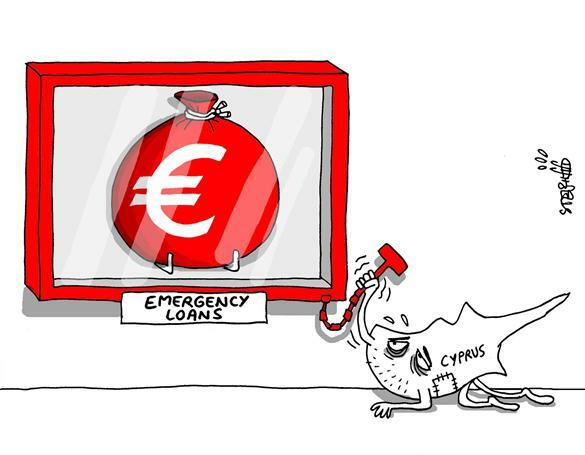 This entry was posted in Blogpost and tagged cartoons, cyprus, ECB, gallows humour, laughing matter on March 24, 2013 by brianmlucey.